One of the perks of studying in UP Diliman is the accessibility to food havens that are just a walk or jeepney ride away. The students are lucky to have an extensive range of food places they can visit to satisfy their hungry bellies after grueling acads. Trying not to fall asleep during class is hard work you know. Just kidding! The UP community can choose from more than 10 food places including Maginhawa Street, UP Town Center, Katipunan Avenue, or the college’s own casual eat street- JP Laurel Street aka Area 2. 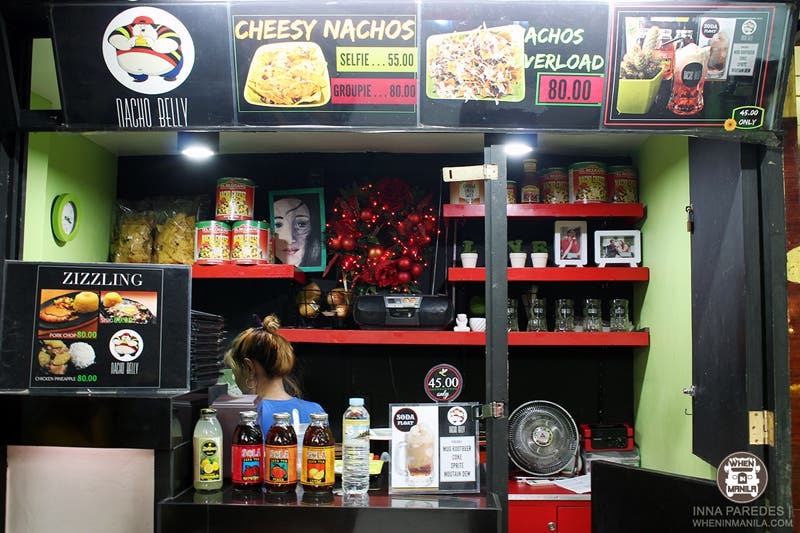 Here are five hole-in-the-wall restaurants/food stalls that have just opened in 2015 and have become crowd favorites because of their fresh offers and concepts at student-friendly prices. Whet your appetite with filipino-mexican appetizers to get ready for the other food places on this list! 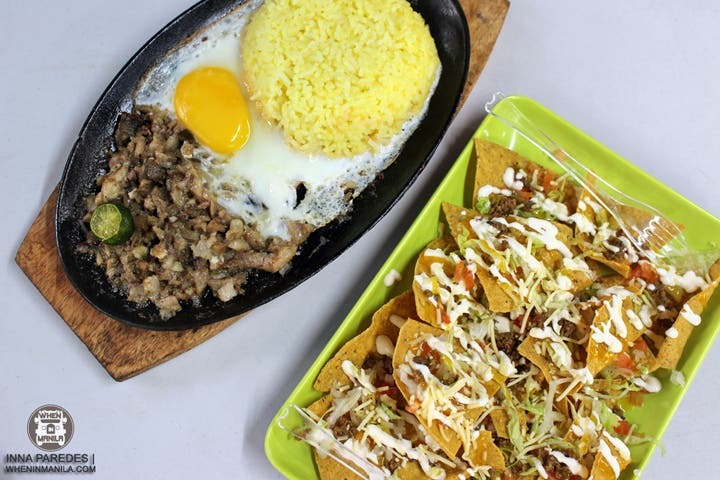 If you’re budget is below P100, head on over to Nacho Belly to enjoy good-for-sharing nachos perfect for a group study sesh. If you’re looking for a heavier meal, they also have sizzling plates on the menu. Cap it off with rootbeer/coke/sprite/mountain dew float and you’re all set to ace that midterm! What a mouthful! Also known as KP2, this bright yellow and orange food stall is located right across the UPD Philpost and offers comfort food favorites. Their menu is pretty witty taking inspiration from famous philosophers. For example, Confucius’ Adobo Tsino’s exchange value is P59.00 while it’s use value is Wisdom. You can say “one order of wisdom please!” To all the preservative haters out there, KP2 food has no preservatives nor food coloring. 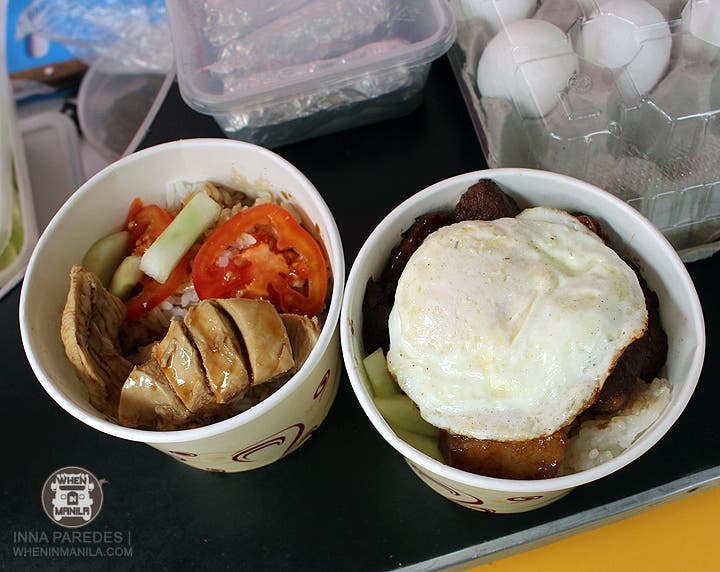 They also deliver their Pilosopo meals within the UP Campus if you’re too busy studying to go out. These girls are celebrating their uno grades! Click on the next page to continue the Area 2 food trip with sweet drinks! Beers Paradise – Over 100 Beers From Around the World!